The mummy of our family of deer sculptures, inspired from watching the deer at the end of our garden on a summers evening. 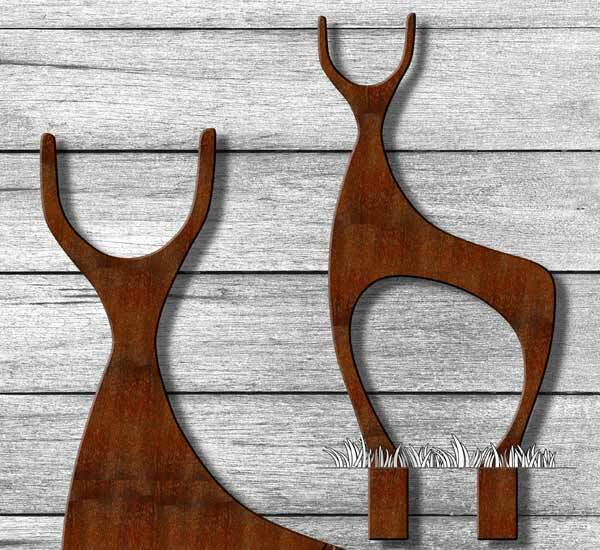 Crafted from metal, this contemporary deer sculpture makes a real statement, with its rusted finish that evolves with time, its rich warm hues glowing in the evening sun. Looks great as part of a herd. Take a look at our herds page for ideas or get in touch with your own. 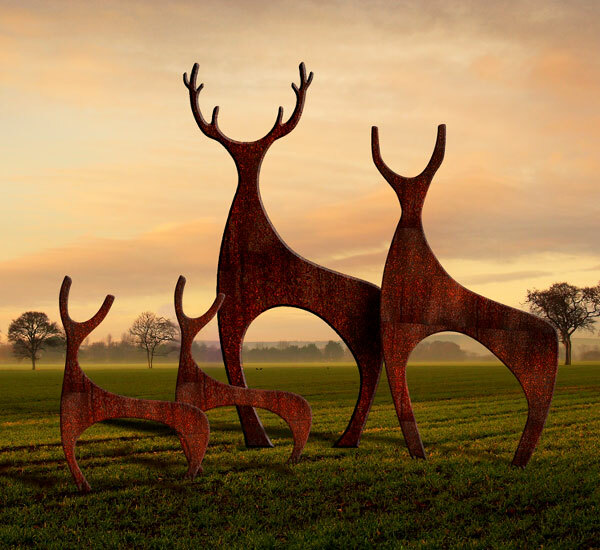 We make our deer sculptures to order and aim to deliver in 4-5 weeks for the receipt of your order. Delivery– We make our herds of Deer to order and would aim to deliver in 4 to 5 weeks from the receipt of your order. 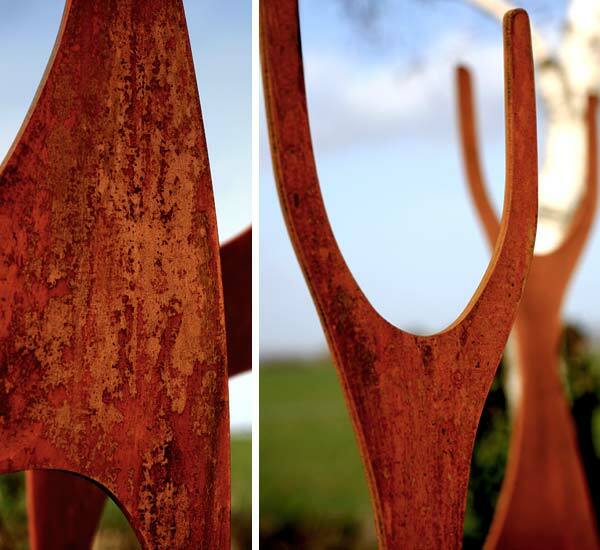 We will contact you shortly before you sculptures are ready with delivery details. If you need the sculptures sooner please contact us and we will do our best to get it to you for the required date, we occasionally have some that are ready for delivery. Please do get in touch if you have any questions about delivery or installation. 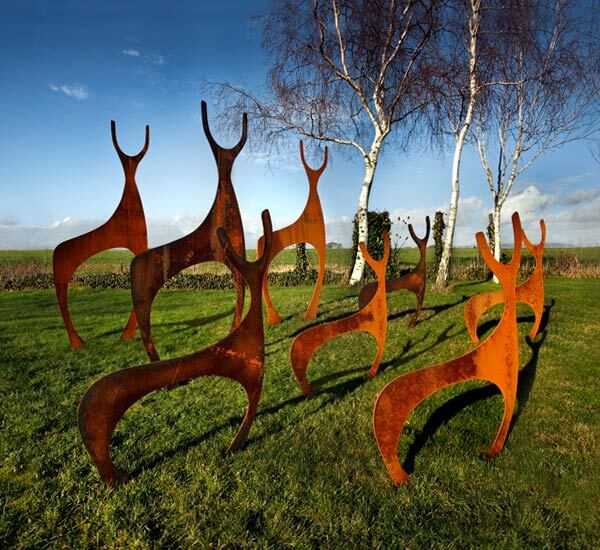 Europe / Worldwide – We have delivered sculptures all over the world. 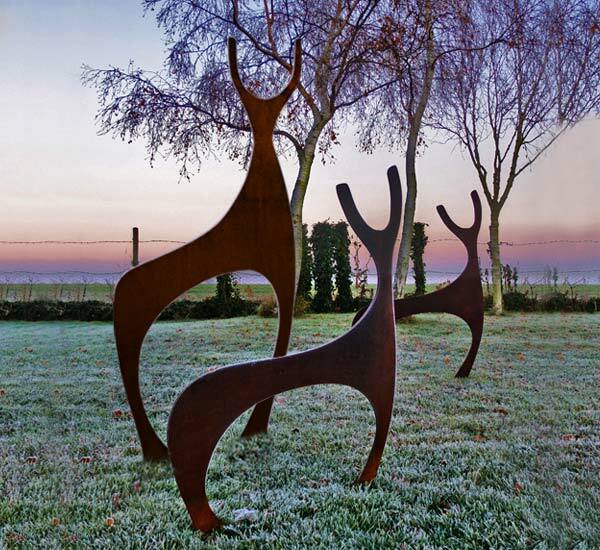 If you need a delivery outside the UK please email design@gardenartandsculpture.co.uk or contact us using the contact us page. Installation is easy– the sculptures can be carried by one to two people. 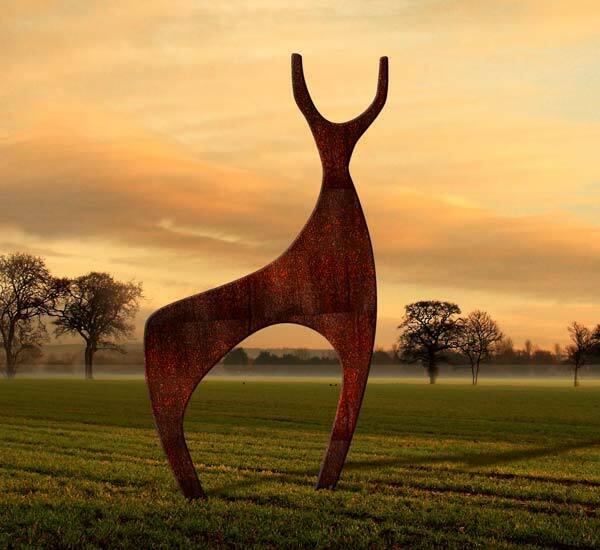 The legs of the sculptures have been extended and enlarged to allow for easy installation and can be placed straight into compacted earth or concreted in. Simply push the sculpture into the ground. If the ground is hard, we’ve found it helps to make a make slots in the ground with a garden spade and push the spikes into the slots using a slight rocking motion. View full instructions.